Amy, I’m sure Julia would be pleased that you took the time to acknowledge her and her influence on you. 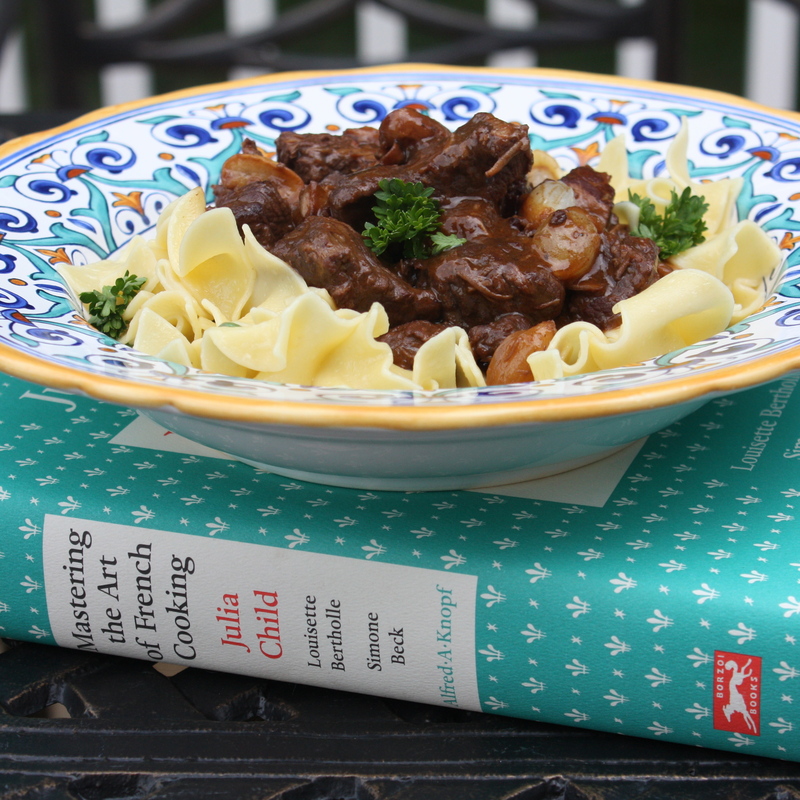 On behalf of all Julia Child fans, Thank You for sharing your photos and (modified) recipe. I love watching her on television! Was just watching her yesterday! Such a joy and amazing cook! 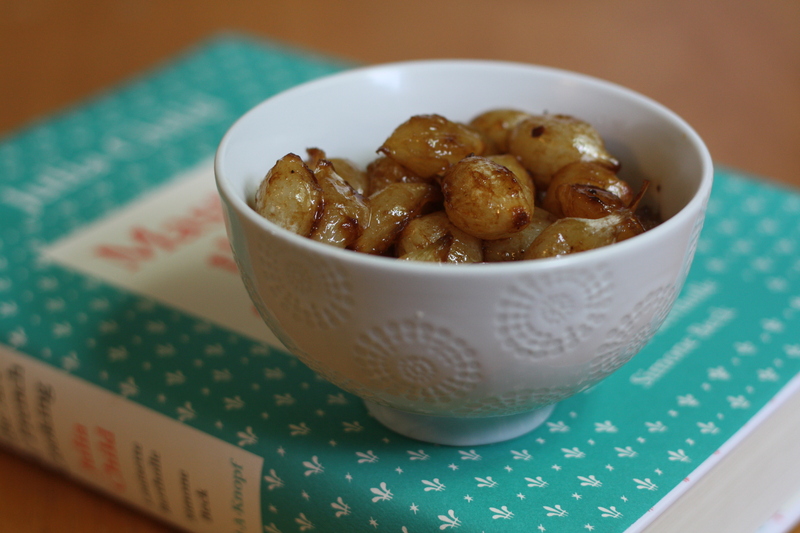 This is the recipe from her cookbook that I’ve wanted to make for so long! Happy birthday, Julia! I LOVE this recipe! Is so delicious,hearty and there is a celebration of flavors in your mouth! Dear Amy, Thank you very much for sharing this amazing recipe! 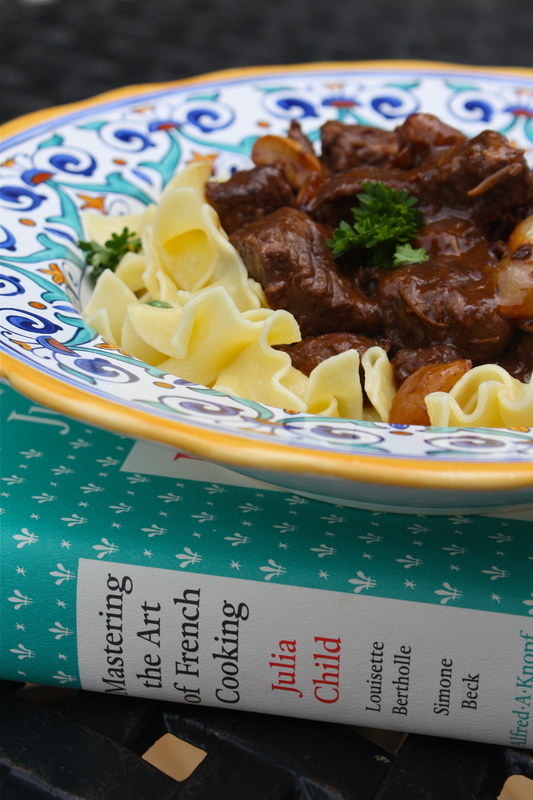 I wanted to prepare Julia Child’s Beef Bourguignon after I have watched movie about her. I made Russian translation in my blog with a link to your’s post. Couldn’t keep it just for myself. People should know how to cook eat well. superb recipe, though i suggest that you check the definition of “infamous.” A mere quibble, yet distinctly different meaning from what i believe you intend. Hi Terri! 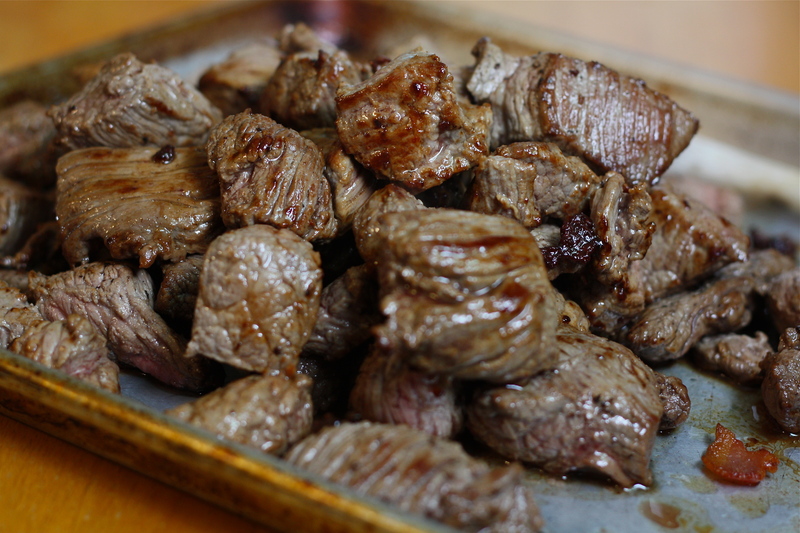 I’ve made this recipe with both the grass fed and the regular stew beef. 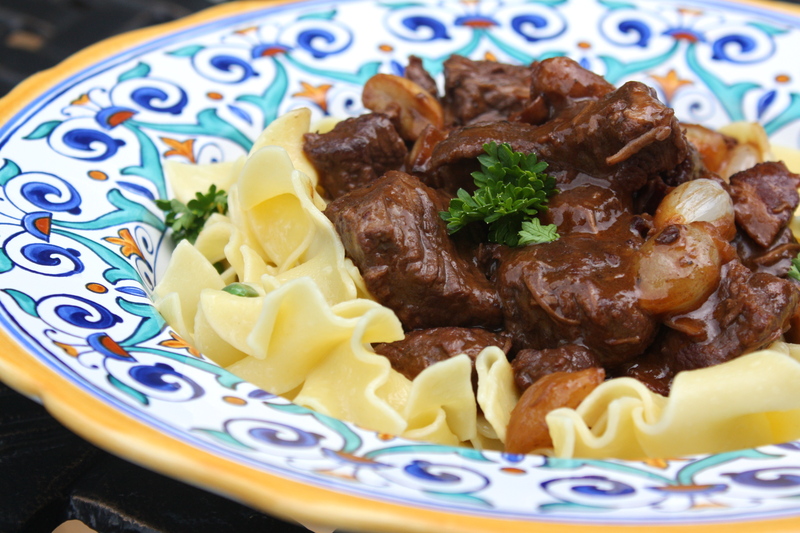 The regular stew beef really does produce the tastiest, tenderest result, but this is such a flavorful dish, that it is still delicious with the leaner, grass-fed beef. Enjoy!! Great. I think for the 1st time I’ll use regular beef stew and the 2nd time I’ll try the leaner version. Thank you for getting back to me! Can I make this without the wine? Do I use all beef broth? Please respond soon making this for thanksgiving. Hi Sylvia! Yes, you can definitely follow the same recipe using additional beef stock in place of the wine. 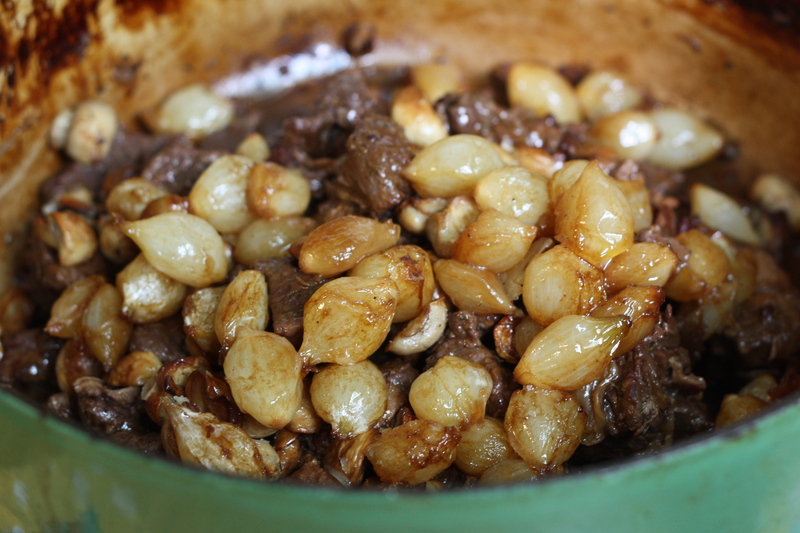 The taste will still be delicious, though definitely different from traditional beef bourguignon. You could also use a non-alcoholic red wine in place of the wine if the alcohol is your concern. Hi, I just made this and made a mistake of only using 2 cups of beef stock instead of 3 cups. I did use 3 cups of wine though. When I took the beef stew out of the oven after 3 hours of cooking I barely got 1/2 a cup of juice. I’m not serving this until tomorrow. What can I do to add more juice but not ruin the flavor? 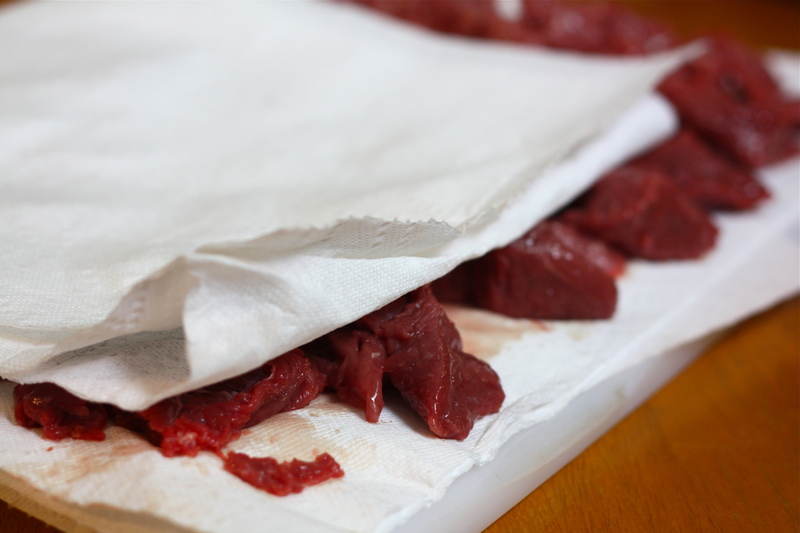 The beef I used was very lean and a much thinner, smaller cut then 2 inches (even though that was what I asked for). It does taste amazing & I just want more juice and not ruin the amazing flavor. Please help if you can. 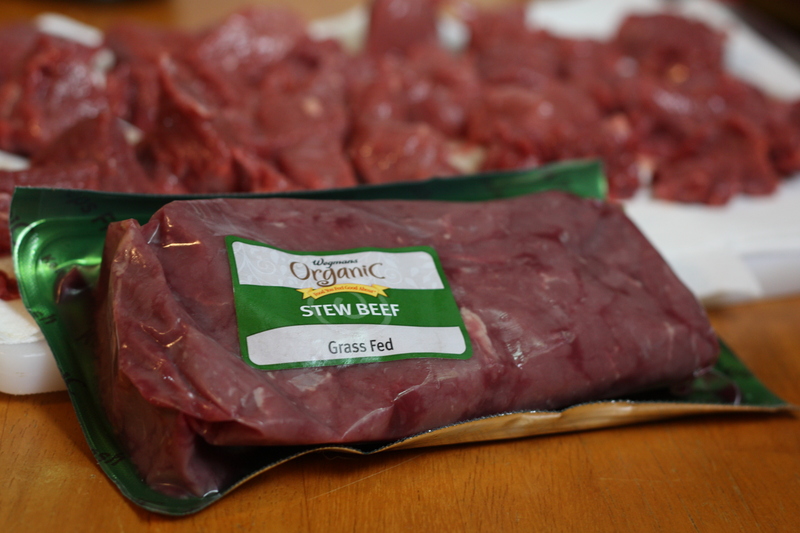 Do you have more beef stock on hand? What I would do is strain everything out of the sauce and set it aside so you can deal with the sauce. Then add maybe 2-3 cups of additional beef stock and let the sauce simmer for a little while to reduce, so that the flavor will maintain it’s richness. Then, if you’d like to thicken it a bit, make a little roux in a separate small pan by melting 2 tablespoons of butter, then whisking in 2 tablespoons of flour. Allow to roux the cook for about a minute over medium heat, then gradually whisk in some of the hot sauce (about 1/2 cup or so). 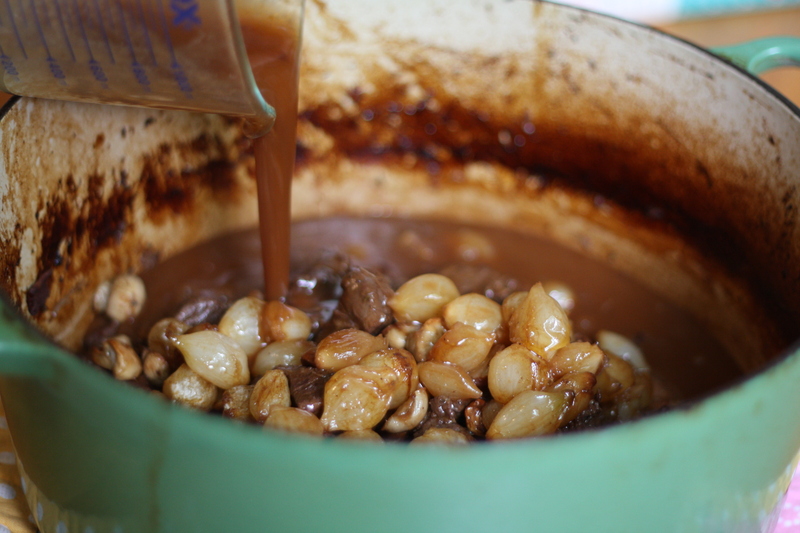 Once that mixture is well blended, whisk it into the rest of your sauce and bring it to a simmer. The sauce should thicken once it simmers a bit. If it’s still not thick enough for your liking, repeat with more roux! Also, don’t underestimate the power of a little salt and pepper in getting the flavor just right!! Hope that helps! I’m at the mushroom stage and I am telling you its like you are here beside me helping. Thank you so much, I have always wanted to tackle this. I’ll let you know the reviews I get from my family. Gasp!! Potpourri be damned! I should set these beautiful mushrooms in bowls thru out the house. I never could have done this without you! Aww… thank you so much for your nice comments! Enjoy the dish! It’s one of my favorites!! 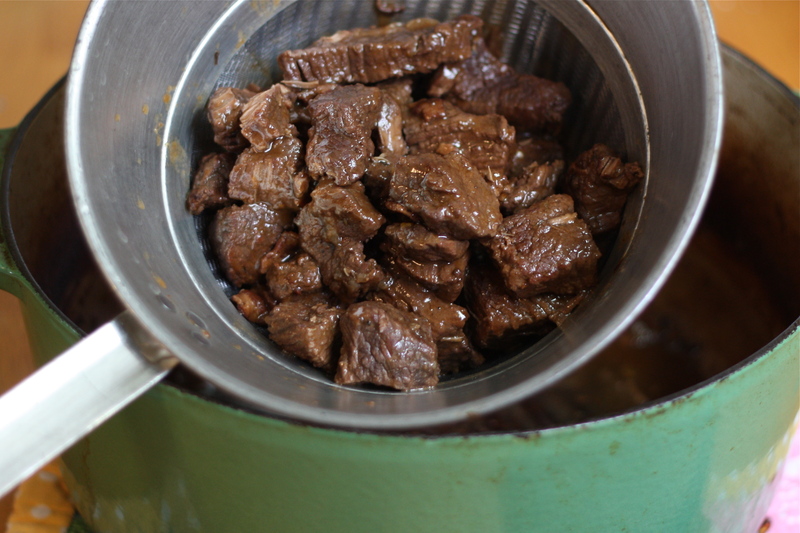 Normally, there should be plenty of liquid left in the pan after the cook-time to have tender beef and a flavorful sauce. Based on what you’ve described, I have a couple guesses on what may have happened. My first guess would be that the lid was not tight-fitting, causing way too much liquid to evaporate during the cooking. Another possibility, is it possible that you forgot to turn the heat down to 325 degrees, and it cooked at 450 for the whole time? Or perhaps your oven runs really, really hot, like you suggested, and all of the liquid boiled away. Either way, sorry it didn’t work out for you. It really is a phenomenal dish! Hope you can salvage your birthday fun! I did misread the temp and kept it at 350 the entire time, instead of 325 and at 3hours. The dutch oven looks good. Maybe it was the high temp or maybe not enough liquid? Next time I’d use the lower temp and check it a couple times. It should maintain a very gentle simmer the entire time, but not a hard boil. 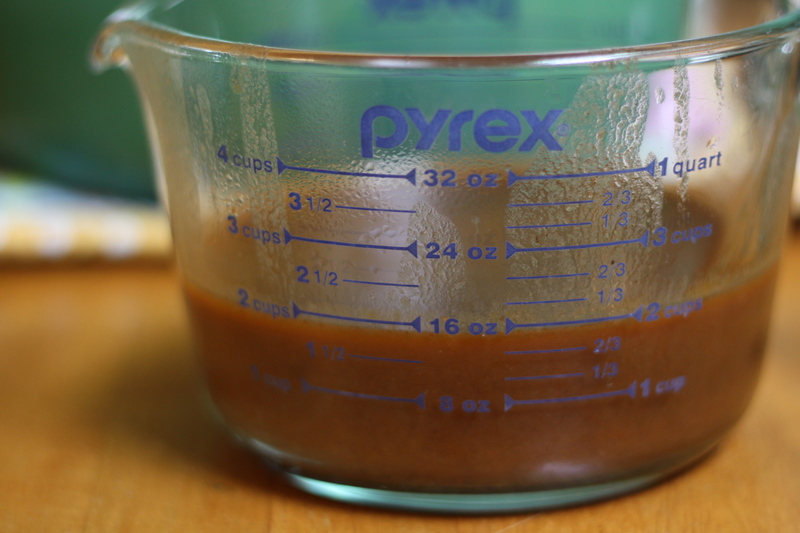 If it looks like the liquid is reducing too quickly, you can add extra beef stock. Hope that helps! 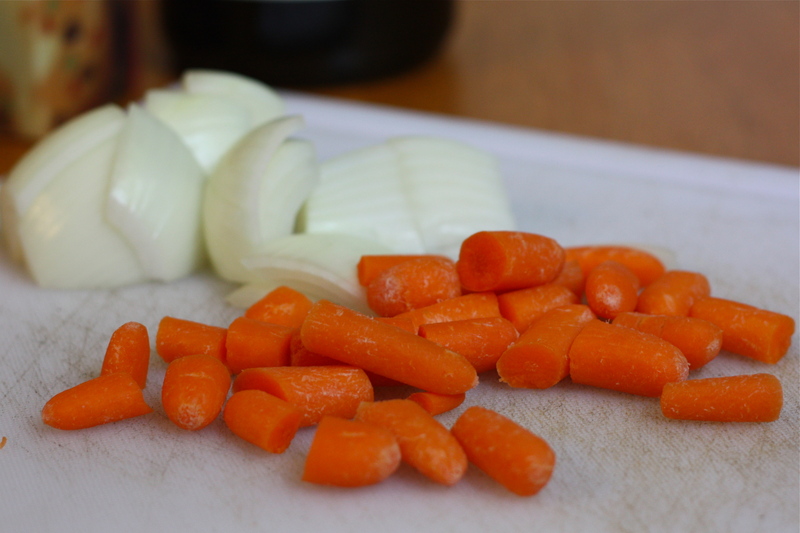 Thank you for your pictures and rewritten recipe! 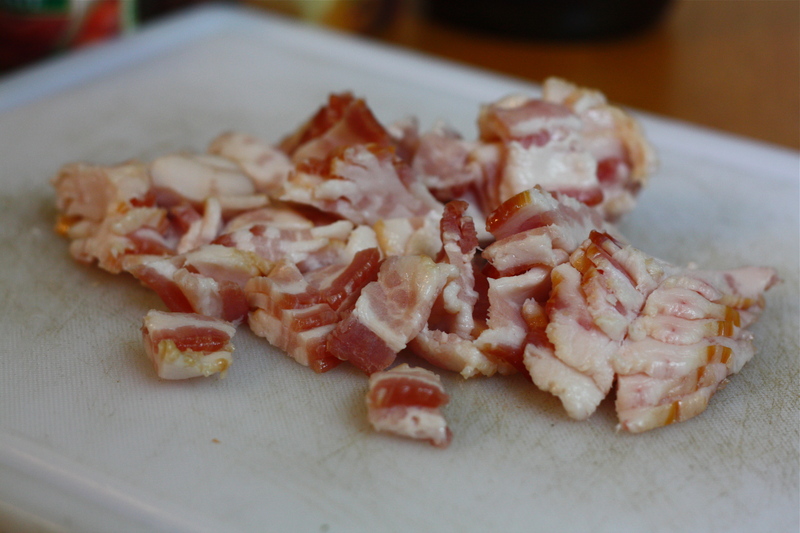 I was losing sleep over chunk bacon lardons, and was very happy to find your very helpful hints. Hahah! Love this comment! Lardon nightmares! Glad you enjoyed the recipe. Would the cooking temperature be the same? I loved this recipe! This had been on my bucket list for sooo long and on this cold Wednesday I decided today was the day. Great descriptions and photos. 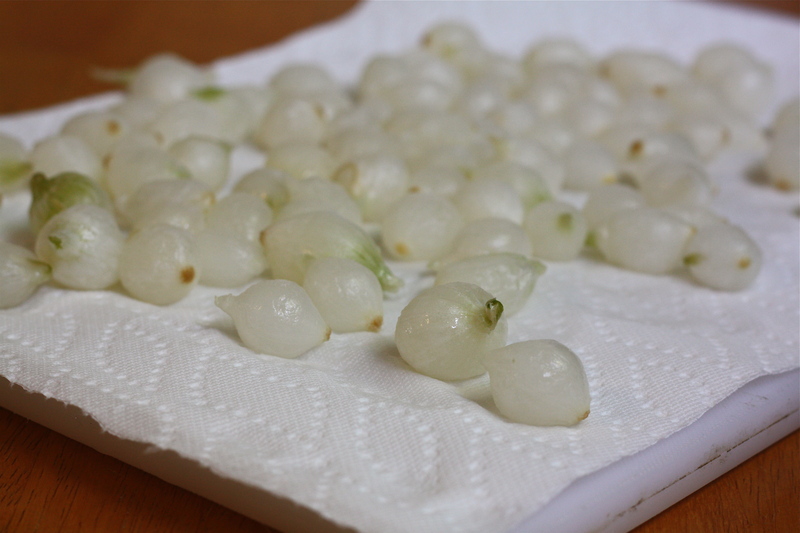 The only thing I did wrong were the pearl onions, in The Netherlands (I am Dutch and found your site through pinterest) they are soaked in vinegar and the taste was way too strong, thankfully I tasted before I put them in. Otherwise truly amazing! 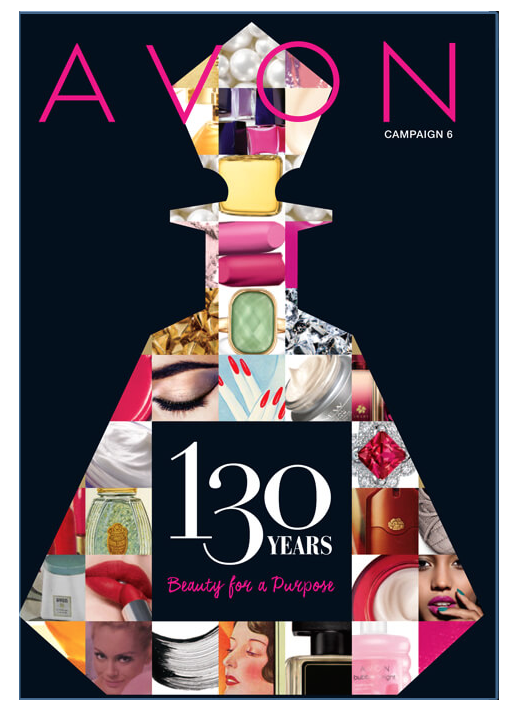 I’m going to give this a shot tomorrow and see what happens…..I liked reading the story with the cool pictures! 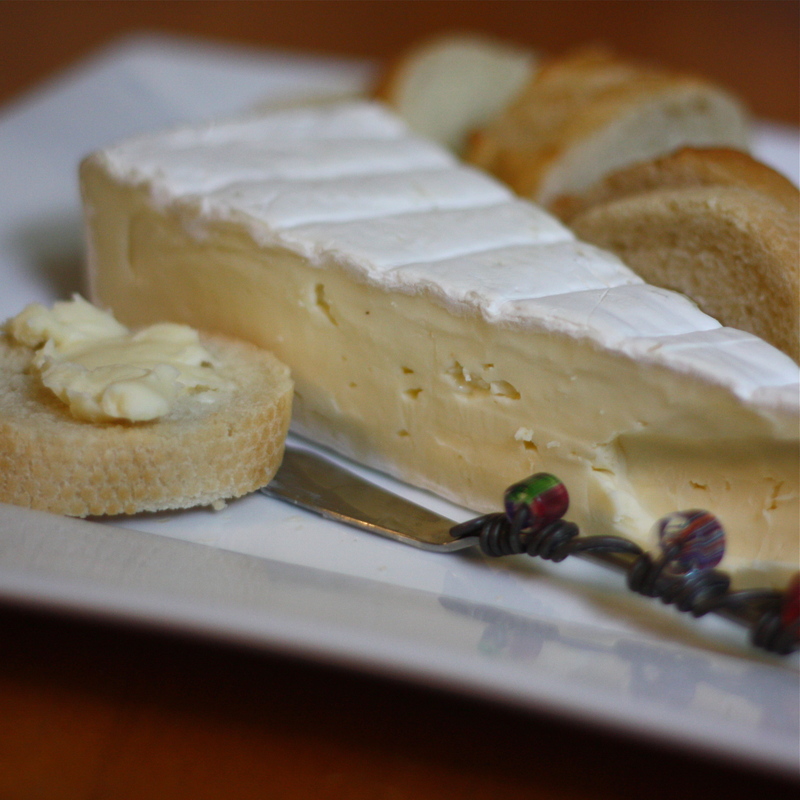 Thanks so much for the recipe – very clear and easy to follow! I made it today and it was terrific! 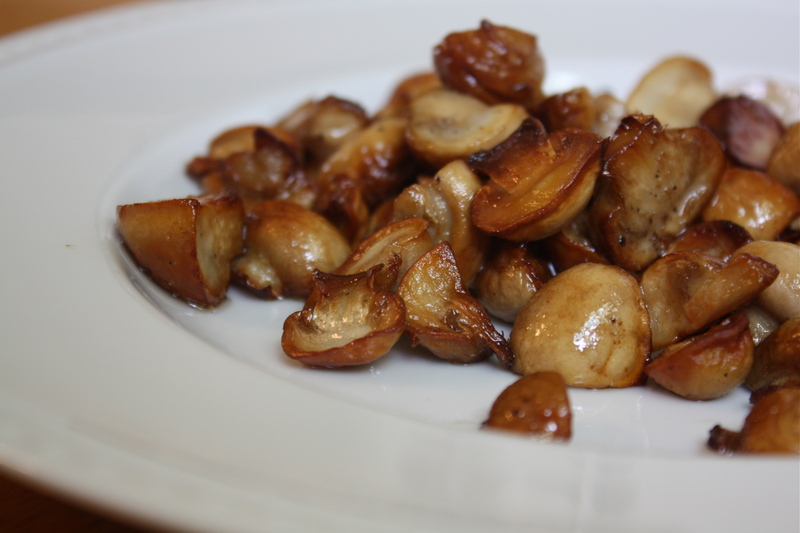 Can the entire recipie be made the day before including the mushrooms? Thank you for taking the time to post this incredible recipe in such great and concise detail! 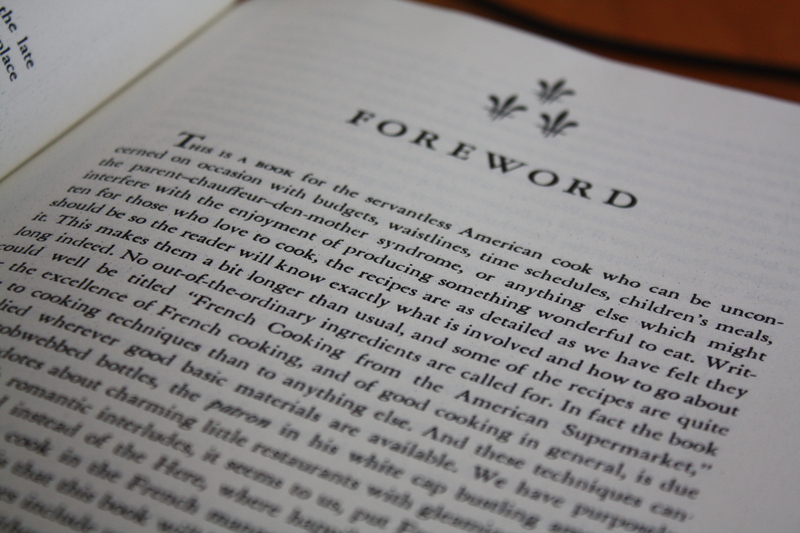 We’ve recently moved and my Julia Child cookbook is somewhere in one of those dratted boxes. I really like how you’ve left out no detail, better than the original in that respect. Finally, it was truly sumptuous, well worth the extra effort!